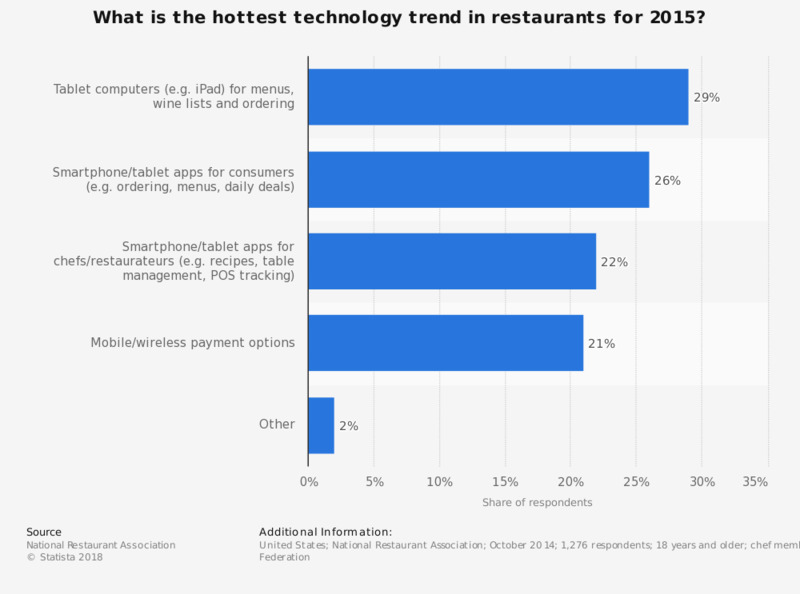 What is the hottest technology trend in restaurants for 2015? This statistic shows the leading trends in technology in restaurants in the United States as forecasted by professional chefs for 2015. During the survey, 29 percent of the respondents stated that tablet computers (e.g. iPad) for menus, wine lists and ordering was the hottest technology trend in restaurants in 2015. The survey was conducted among professional chef members of the American Culinary Federation.